The history of the Jews in Zimbabwe reaches back over one century. Present-day Zimbabwe was formerly known as Southern Rhodesia and later as Rhodesia. During the 19th century, Ashkenazi Jews from Russia and Lithuania settled in Rhodesia after the area had been colonized by the British, and became active in the trading industry. In 1894, the first synagogue was established in a tent in Bulawayo. The second community developed in Salisbury (later renamed Harare) in 1895. A third congregation was established in Gwelo in 1901. By 1900, approximately 400 Jews lived in Rhodesia. In the 1930s a number of Sephardic Jews arrived in Rhodesia from Rhodes and mainly settled in Salisbury. This was followed by another wave in the 1960s when Jews fled the Belgian Congo . A Sephardic Jewish Community Synagogue was established in Salisbury in the 1950s. In the late 1930s, German Jews fleeing Nazi persecution settled in the colony. In 1943, the Rhodesian Zionist Council and the Rhodesian Jewish Board of Deputies were established, later being renamed the Central African Zionist Council and Central African Board of Jewish Deputies in 1946. After World War II, Jewish immigrants arrived from South Africa and the United Kingdom. By 1961, the Jewish population peaked at 7,060. In the first half of the 20th century there was a high level of assimilation by Rhodesian Jews into Rhodesian society, and intermarriage rates were high. Roy Welensky, the second and last Prime Minister of the Federation of Rhodesia and Nyasaland, was the son of a Lithuanian Jewish father and an Afrikaner mother. By 1957, one out of every seven marriages in Rhodesia were between a Jew and a Gentile. 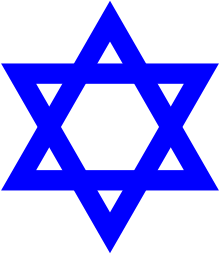 In addition to the Rhodesian Zionist Council and the Rhodesian Jewish Board of Deputies the Jewish Community developed institutions to serve and strengthen the community including two Jewish Day Schools (one in Harare called Sharon School and one in Bulawayo called Carmel School), community centers, Jewish Cemeteries, Zionist youth movements, Jewish owned sports clubs, Savyon Old Age Home in Bulawayo and several women's organisations. A number of Jews from Zionist youth movements emigrated to Israel. In 1965, the white minority government of Southern Rhodesia, under Prime Minister Ian Smith, unilaterally declared independence as Rhodesia, in response to British demands that the colony be handed over to black majority rule. Rhodesia was then subject to international sanctions, and black nationalist organizations began an insurgency, known as the Rhodesian Bush War, which lasted until 1979, when the Rhodesian government agreed to settle with the black nationalists. By the time the Rhodesian Bush War ended in 1979, most of the country's Jewish population had emigrated, along with many whites. Some Jews chose to stay behind when the country was transferred to black majority rule and renamed Zimbabwe in 1980. However, emigration continued, and by 1987, only 1,200 Jews out of an original population of some 7,000 remained. Most Rhodesian Jews emigrated to Israel or South Africa, seeking better economic conditions and Jewish marriage prospects. Until the late 1990s, rabbis resided in Harare and Bulawayo, but left as the economy and community began to decline. Today there is no resident Rabbi. In 1992, President Robert Mugabe caused upset to the Jewish community in Zimbabwe when he remarked that "[white] commercial farmers are hard-hearted people, you would think they were Jews". In 2002, after the Jewish community's survival was threatened by a food shortage and poverty in the country, the mayor of Ashkelon, a city in southern Israel, invited Zimbabwean Jews to immigrate to Israel and offered assistance in settling in Ashkelon. In 2003 the Bulawayo Synagogue burned down and the small community did not restore the building. Prayers are generally held at the Sinai Hall or Savyon Lodge in Bulawayo. In Harare the Sephardic Community have their own Synagogue and the Ashkenazi Community have a separate synagogue. Today because of small numbers of congregants the prayers alternate between the two synagogues. Today, about 120 Jews live in Zimbabwe, chiefly in Harare and Bulawayo. There are no Jews remaining in Kwekwe, Gweru, and Kadoma. Two-thirds of Zimbabwean Jews are over 65 years of age, and very few are children. The last Bar Mitzvah took place in 2006. The Lemba people, a Black African people of about 50,000-80,000 people who live in central Zimbabwe and South Africa, claim a common descent belonging to the Jewish people. ↑ Berg, Elaine. "Our Month With the Lemba, Zimbabwe's Jewish Tribe". The Jewish Daily Forward. The Forward Association. Retrieved 19 February 2016.